Hakwood is now offering exact match stair treads. The treads are engineered from the same Duoplank as our flooring, allowing for perfect continuity in both stability and appearance between the two. The treads are available for the following collections: Authentic, Colour, Dutch Scrape, Sierra and select items from Perspectives. The new exact match stair treads can be finished on as many sides as desired (2–6) for normal and floating installations. Various shapes and sizes are possible to suit all staircase designs from straight to spiral. Metal non-slip stair nosing is also available for insert to the existing stair detail. 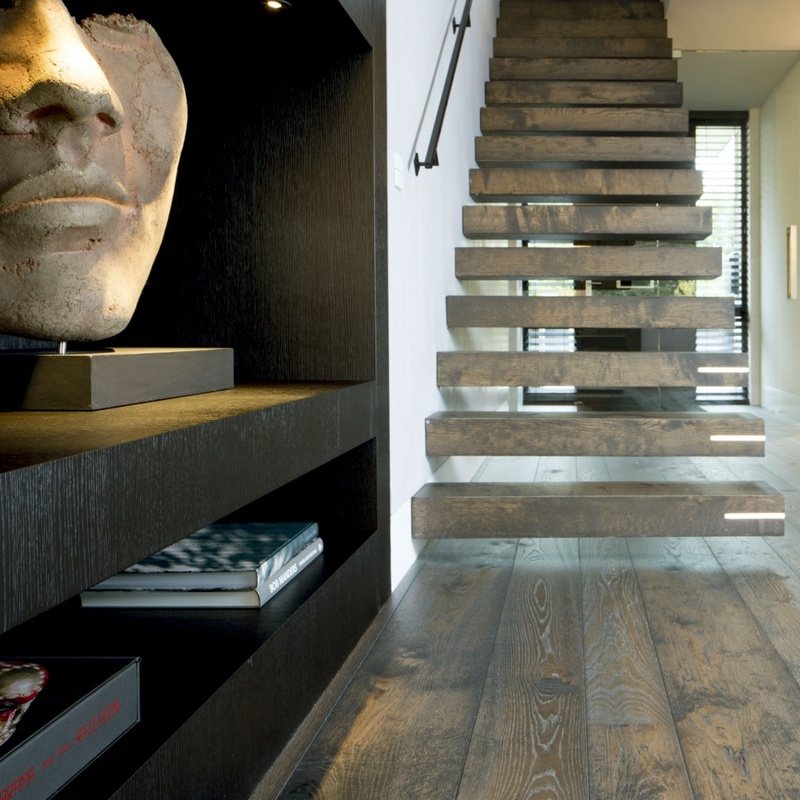 * Treads with a depth of 220 mm or less are made from one plank. All other treads will combine planks and therefore have a side joint between planks. The Hakwood team continues our ever-present objective to innovate. Please contact your personal representative with any questions.